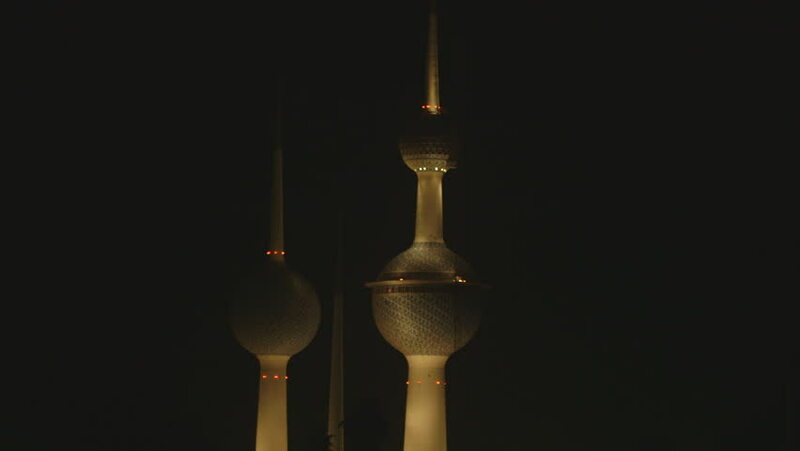 Kuwait Towers. Shot of the iconic Kuwait Towers at night lit in a golden light against a black sky. hd00:071080 HD video of vintage scrolls unrolling and then rolling back up on a black backdrop.